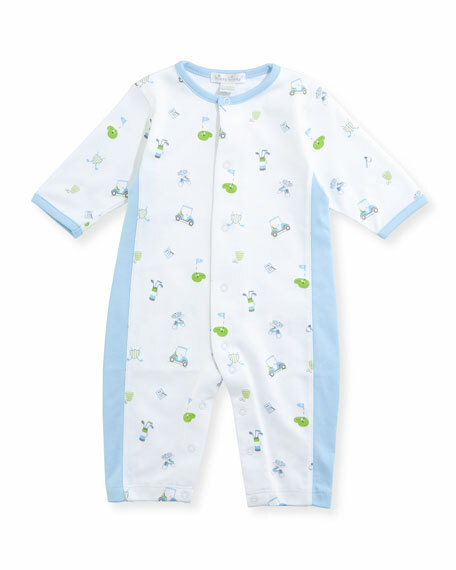 Kissy Kissy coverall from the Daddy's Caddy collection. Contrast solid sides, cuffs and collar. For in-store inquiries, use sku #2428314. Exclusively ours. 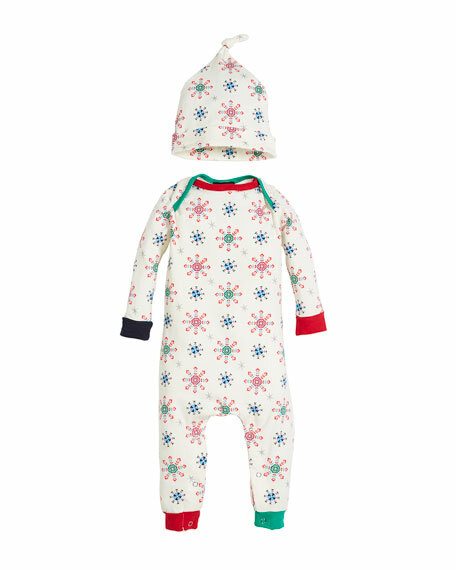 Bedhead holiday pajama set in allover snowflake pattern. 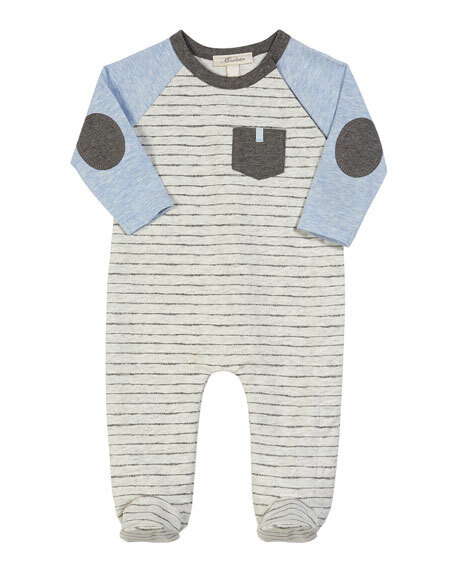 Coverall with multicolored ribbed trim. Envelope shoulders. Snaps through legs. Includes matching hat. Cotton/spandex. Made in USA. 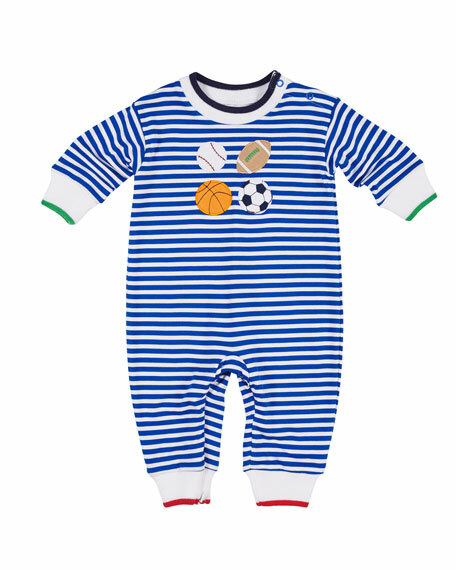 Miniclasix striped footed coverall. Crew neckline. Contrast long, raglan sleeves. Elbow patches. Left chest patch pocket. Snaps through legs. Footed silhouette. Body: cotton/spandex. Sleeves: polyester/cotton/spandex. Imported. 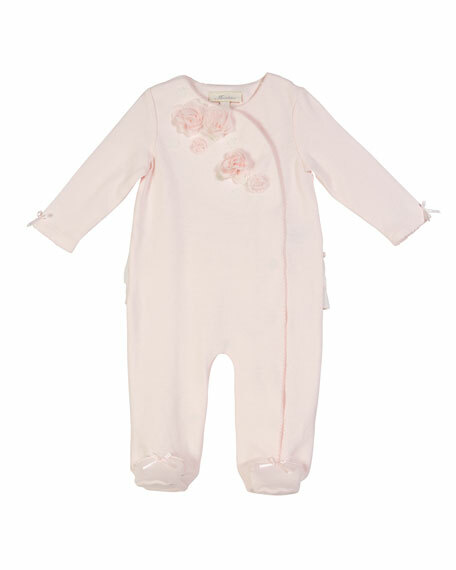 Miniclasix footed coverall with rosettes through chest. Surplice neckline; asymmetric snap front. Long sleeves. Ruffle trim at seat. Snaps through legs. Picot trim. Footed silhouette. Body: cotton. Trim: polyester. Imported.